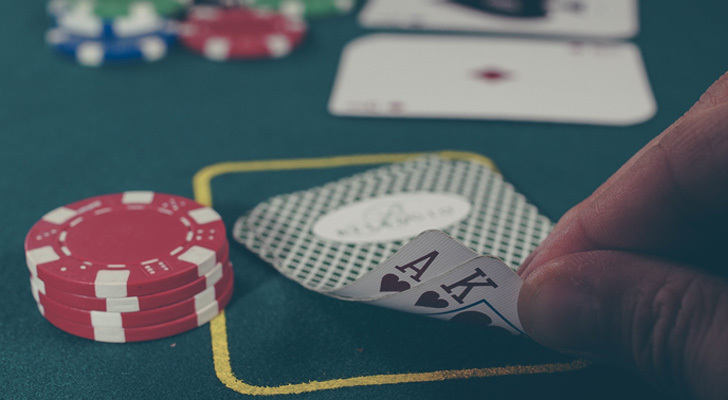 Caesar Entertainment (NASDAQ:CZR) stock hasn’t had many winning hands over the years. But, this week, investors got some much needed good news. According to media reports, billionaire Tilman Fertitta approached the company about a merger deal worth $13 per share. As a result, CZR stock shot up by about 12%. It was the biggest one-day gain since September 2016. Yet the deal is kind of convoluted. The proposal is for Fertitta to exchange his shares in his privately-held company for CZR stock. There would then be a Dutch auction for stock from the public holders, which could be between $2 billion to $3 billion. Although, private equity firms TPG and Apollo Global Management (NYSE:APO) would hold on to their holdings. The result would be that Fertitta would be the largest shareholder and CEO of the combined operations. The transaction would also allow him to come back to the public markets — that is, via a “reverse merger.” Note that, back in 2010, he took Landry’s private for $1.4 billion. According to Forbes, Fertitta is worth about $4.6 billion. Besides owning Landry’s, he also controls Golden Nugget Casinos, Morton’s steakhouses, Bubba Gump Shrimp, Rainforest Cafe and even the Houston Rockets basketball team. In other words, there is synergy with his holdings and Caesars. Consider that the new entity would be one of the world’s largest gaming and hospitality operators. Fertitta is also likely to provide solid leadership as well as marketing savvy. After all, he stars in the CNBC reality show, Billion Dollar Buyer. As for Caesars, it certainly has a large number of assets, with 49 casinos across 13 states (some of the brands include Harrah’s, Bally’s and the Horseshoe). There are also operations in Britain, Canada and South Africa. But the company did miss out on the opportunity in Asia, which has been taken by rivals like Wynn Resorts (NASDAQ:WYNN), MGM Resorts International (NYSE:MGM) and Las Vegas Sands (NYSE:LVS). One of the biggest issues for CZR stock has been the massive debt load, which was due to an ill-time buyout in 2008. By early 2015, the company filed for bankruptcy and the process lasted a couple years. Yet the company was able to significantly reduce its debt. As a result, CZR has been more aggressive in finding ways to grow the business. For example, it has been moving into the sports betting sector, such as with the acquisition of Centaur Holdings (a horse racing company). In fact, Jefferies David Katz believes that CZR is the best positioned to capitalize on the sports betting trend. Fertitta’s proposed deal for CZR stock is far from a sure thing. Keep in mind that there is still a wide gap between the current stock price and the $13 offer. Let’s face it, CZR’s management will probably be skeptical and look for a much higher valuation. Earlier this year, the shares were trading above $14. But Fertitta’s interest is encouraging. He definitely has a track record for finding compelling values. His move may also be an indication that there will be more M&A in sector, as the valuations have been muted. According to Macquarie analyst Chad Beynon, the multiples are at levels not seen in about five years. As for CZR stock, he has a price target of $15. In other words, there could still be nice opportunity here for investors — and Fertitta’s offer could be a solid catalyst. Article printed from InvestorPlace Media, https://investorplace.com/2018/10/why-caesars-stock-worth-gamble/.